A key element for the global optimization of non-convex mixed-integer bilinear problems is the computation of a tight lower bound for the objective function being minimized. Multiparametric disaggregation is a technique for generating a mixed-integer linear relaxation of a bilinear problem that works by discretizing the domain of one of the variables in every bilinear term according to a numeric representation system. This can be done up to a certain accuracy level that can be different for each discretized variable so as to adjust the number of significant digits to their range of values and give all variables the same importance. We now propose a normalized formulation (NMDT) that achieves the same goal using a common setting for all variables, which is equivalent to the number of uniform partitions in a closely related, piecewise McCormick (PCM) approach. Through the solution of several benchmark problems from the literature involving four distinct problem classes, we show that the computational performance of NMDT is already better than PCM for ten partitions, with the difference rising quickly due to the logarithmic versus linear growth in the number of binary variables with the number of partitions. 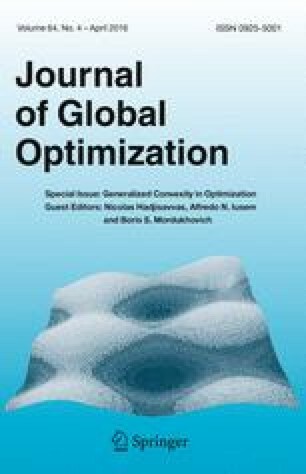 The results also show that a global optimization solver based on the proposed relaxation compares favorably with commercial solvers BARON and GloMIQO. Financial support from Fundação para a Ciência e Tecnologia (FCT) through the Investigador FCT 2013 program.